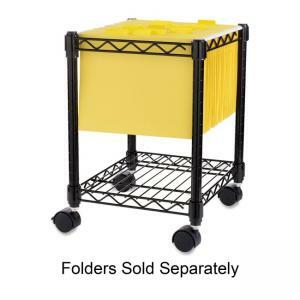 Compact mobile wire filing cart holds letter-size hanging files. Use bottom shelf for additional storage. Metal wire frame offers a powder-coat finish. 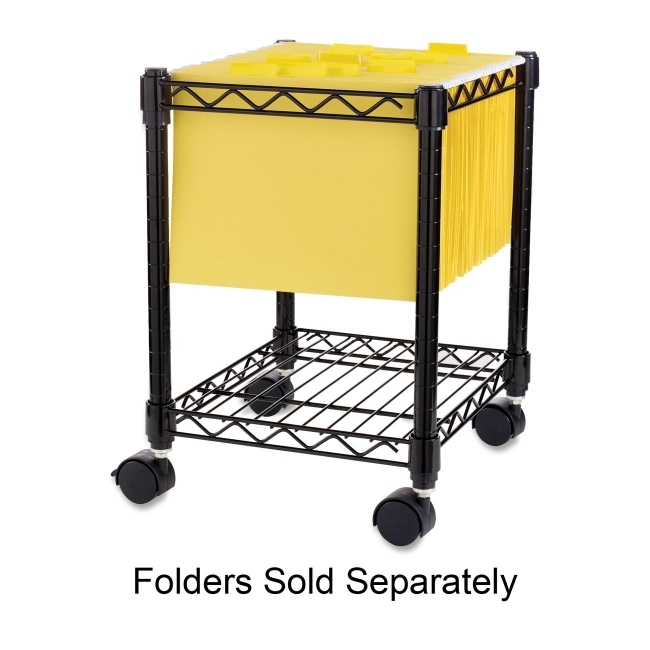 Filing cart rolls easily on four swivel dual-wheel casters.